I’ve been trying to come up with a decent level of hyperbole to describe just how different today’s Good Reads are, but alas, words fail me. Still, it seems that no two things can be different enough as to have absolutely nothing in common. My students often complain that I see links and symbols and common themes where none exist. I tell them it’s my job. Secretly, however, I know sometimes a parrot is just a parrot. But today… two books about how the past can sometimes haunt us. In this corner, Jon Paul Fiorentino and his tragicomic (short) coming of age story Stripmalling (2009). In the far corner, Daphne du Maurier and her Gothic opus Rebecca (1938). Fiorentino’s Stripmalling is a hybrid, a strange mash-up of (semi)fictional vignettes and graphic novel. The hero is 31 year old slacker/writer Johnny, who like Fiorentino teaches at a middle-of-the-road university in Montreal. Postmodern a souhait, Johnny is wrestling with a semi-autobiographical novel called, hold on to your underwear, Stripmalling. The novel recounts his years growing up in Winnipeg, working at a Wal Mart-like superstore. Drugs, boredom, sexual exploration, drugs, shame, drugs and degradation dog his footsteps as he scrounges for a living. Things change, however, once he moves to Montreal with his soon-to-be estranged wife Dora, only not for the better. While the postmodern twists may sound off warning bells, the book actually carries with it a good dose of self-aware, self-deprecating humour. As Johnny exchanges his Winnipeg apathy for a much more wistful Montreal apathy, Fiorentino craves out a fairly excoriating picture of growing up in the suburbs, and the scars such an upbringing leaves behind. It’s a very funny yet sordid tale of missed opportunities, scuttled chances, disgraceful behavior and boredom. In short, it’s a writer’s life in snapshots. What really cements the deal are the various “Dora” chapters interspersed throughout, where our hapless hero’s wife interrupts the proceedings to give us her point-of-view on what’s going on with Johnny, often to his detriment. As is the case in most similar situations, the truth often lies between the two versions, and it is in these moments that the book offers real glances into Johnny’s psyche. 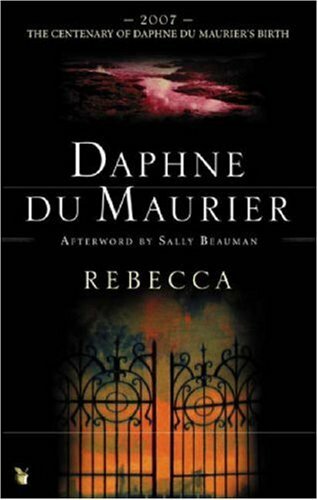 A few light years and a left turn in Albuquerque away, du Maurier’s Rebecca recalls the work of such luminaries are George Eliot, Jane Austen, and more specifically, Charlotte Brontë. Though generally considered slightly lighter fare than these, du Maurier nonetheless had a fair share of success, especially with Rebecca, which became Alfred Hitchcock’s first American film in 1940, and won an Academy Award for its troubles. The novel tells the gothic-themed tale of a young woman who, after a whirlwind romance with the dashing, handsome and rich widower Max de Winter on the French Riviera, marries him and moves in with him at his Mansion of Manderlay. There, the young Mrs de Winter is confronted with two horrible specters: the ghost of her husband’s first wife, Rebecca; and the ghoulish Mrs. Danvers, the housekeeper from hell. There are plenty of secrets being kept under the watchful crone eye of Mrs. Danvers, who seems determined to make the young lady’s marriage an unhappy one. And then, Mrs. De Winter begins to suspect that Rebecca’s death may not have been accidental, and that somehow her husband and Mrs. Danvers may have had something to do with it. Creepy mansion, handsome but troubled rich man, a scary housekeeper, storms, secrets, ghosts and stale tea biscuits; the ingredients are all here, and while portions of this gothic-romance do indeed read like Brontë Light, the plot is quite gripping, especially as it moves into the final act and the reader discovers the truth behind poor Rebecca’s death. Mrs. Danvers is quite the character, arguably the mold for every pinched-face, battle-axe housekeeper since. A formidable villain, she elevates the material by her simple presence, and is truly one of the most wonderful literary creations of the genre. Imagine, if you will, Charles Manson as your butler. Sleep well.